BBM(BlackBerry Messenger) brings you together in the moment with friends and family through instant chats, voice calls, picture sharing, voice notes and more. Download the official version of BBM from BlackBerry now. Create a new channel to share your thoughts, ideas and passions. Subscribe to an existing BBM channel to join chats with others who share your interests. BBM will be available as a free download for Windows Phone users this summer. One-touch filters: Choose from more than 20 eye-catching effects! Share to all your favorite social sites: Facebook, Twitter, Tumblr, Adobe Revel and more. One place for all your photos: Upload your photos to private albums in Revel to view and share memories across devices. Upgrade to Revel Premium after 30 days to get unlimited photo & video imports – just $5.99/month. The Foodpanda – Food Delivery & Takeaway is the FASTEST WAY TO ORDER FOOD ONLINE.With just a few taps, you can order quickly from many restaurants around your location.Whether Pizza, Burgers, Sushi, Italian, Chinese, Indian or any other of your favorite cuisines. Ordering through the free Foodpanda Food Delivery app guarantees that your meal will be delivered fast, hot and tasty. Simply search from wherever you are and we will show you all the restaurants available around you and pay in cash on delivery. After you have placed your order you will receive a text message on your mobile with the details of your order and the expected delivery time. In addition to ordering delivery, you can stop wasting your time queuing in line. 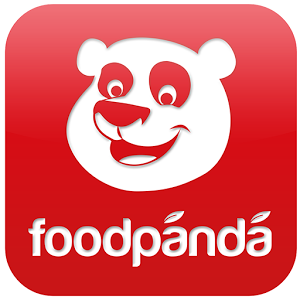 Just order a takeaway with the Foodpanda app while you walk to the restaurant. Tap, choose, and enjoy your yummy meal with Foodpanda, your one-stop food delivery service for all. Written by: MBGW on February 24, 2014.